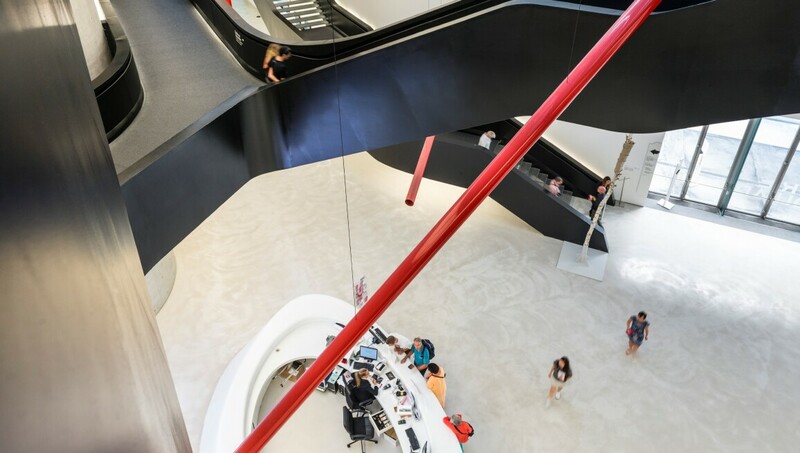 MAXXI is the first national institution dedicated to contemporary creativity in Italy. Managed by the Fondazione MAXXI, it holds two museums: MAXXI Architettura and MAXXI Arte. The building, designed by Zaha Hadid Architects and inaugurated in 2010, is an extraordinary example of contemporary architecture that’s celebrated for its fluid lines. A workshop for experimentation and innovation, MAXXI produces and presents exhibitions, performances, workshops and lectures. Permanent holdings include installations by Anish Kapoor, Sol Lewitt, Maurizio Mochetti, Giuseppe Penone and Massimo Grimaldi.